Which Country Publishes the Most Books? Have you ever wondered which country publishes the most books per year? You may think you know the answer, but everyone at Bookstr was surprised! 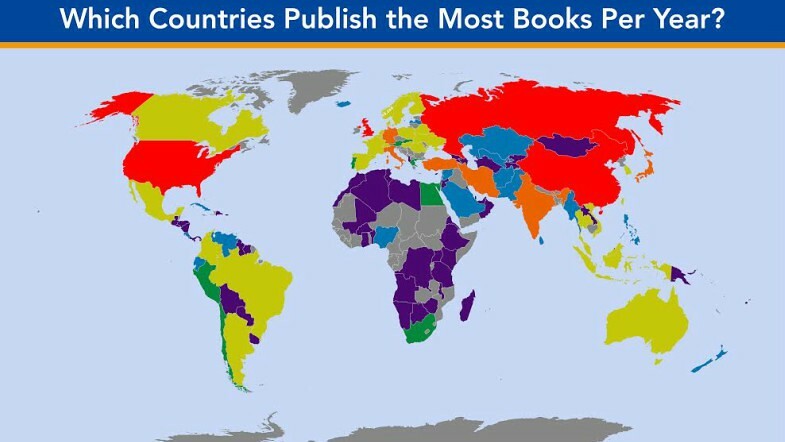 Take a look and see where your country lies on the book-publishing map. We do apologize for all countries without information: We tried to find every country’s number but not all were available! In first place comes China, with 440,000 books published in 2013, second is the United States with 304,912 books published in 2013, and third is the United Kingdom with 184,000 books published in 2011. Note: All information is from the most recent information available for each country.